Stir the seasonal flavors of Fall right into this yummy sandwich spread. 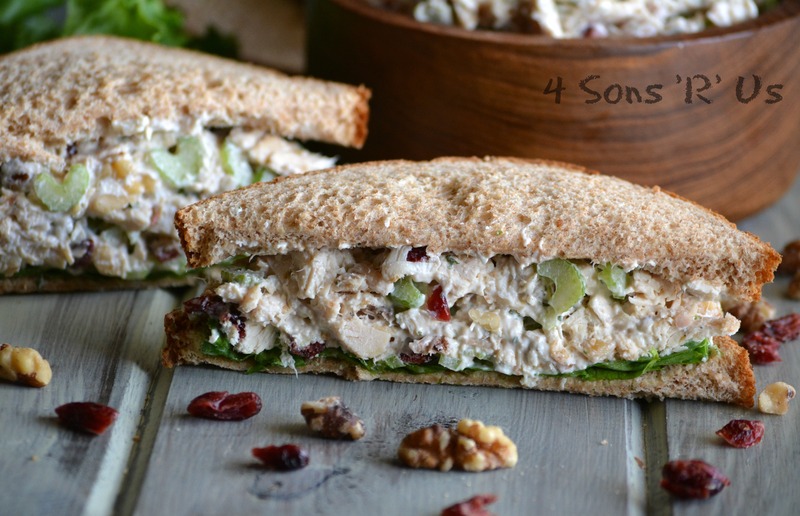 Cranberry Walnut Chicken Salad is a healthier version of chicken salad without sacrificing an iotta of flavor. The seasonal flavors included go together so perfectly, it tastes like it came from your favorite gourmet sandwich shop– not whipped up in minutes at home. One thing’s for sure, it’ll have you looking forward to lunchtime– even counting down the minutes and eyeing your lunch bag with envy. By now if you haven’t already had it confirmed, you’ve probably figured out that meals around our house are no ordinary thing. One day I might throw together a gourmet meal of banquet proportions. The next day it might be a 15 minute meal that only requires one pot to cook in. Night number three? That might be the night I don’t feel like cooking anything or even looking at my kitchen. That night my guys fend for themselves. Luckily, there’s almost always leftovers of some sort. And Chef Boyardee. Also because the husband has to brown bag it every day for work, there’s always a variety of lunch stuff’s on hand. And because I try to keep some variety in the packed lunch game, there’s a bevy of sandwich fillers and spreads in the fridge. Lunch meats and nut butters aside, we love a good meat ‘salad’. Ham, Tuna, Chicken– we love em all. What started as an effort to stretch them out, making them more filling while going farther, has gradually morphed into a running experiment with flavor and texture combinations– in sandwich form. Like seriously, some of the stuff we comes up with tastes like I ordered it from my favorite sandwich shop. 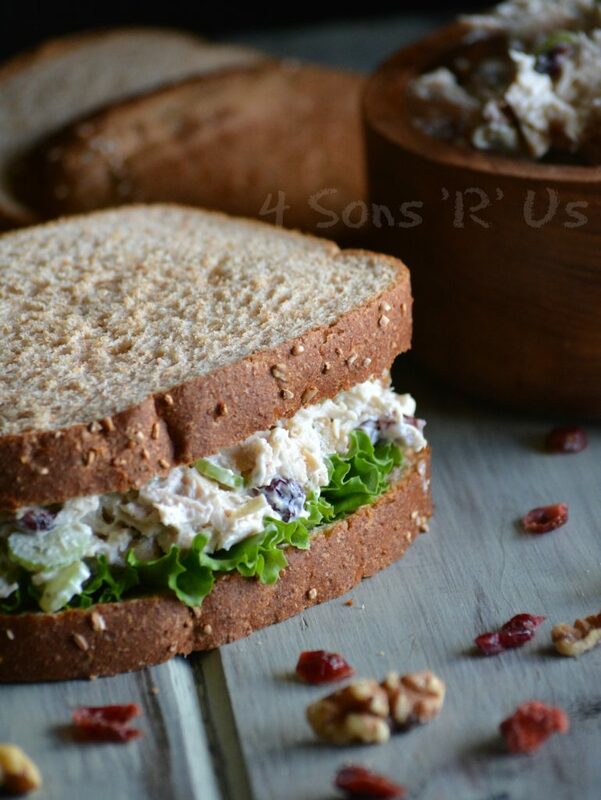 Take this sandwich for example– Cranberry Walnut Chicken Salad. It’s adds a little pizzazz into your day with each bite. It’s a great way to make any lunch break memorable. It’s also easy to toss a container of to your hangry teen at dinner time, along with a loaf of bread when it’s there time to eat, but they don’t want to cook dinner either. 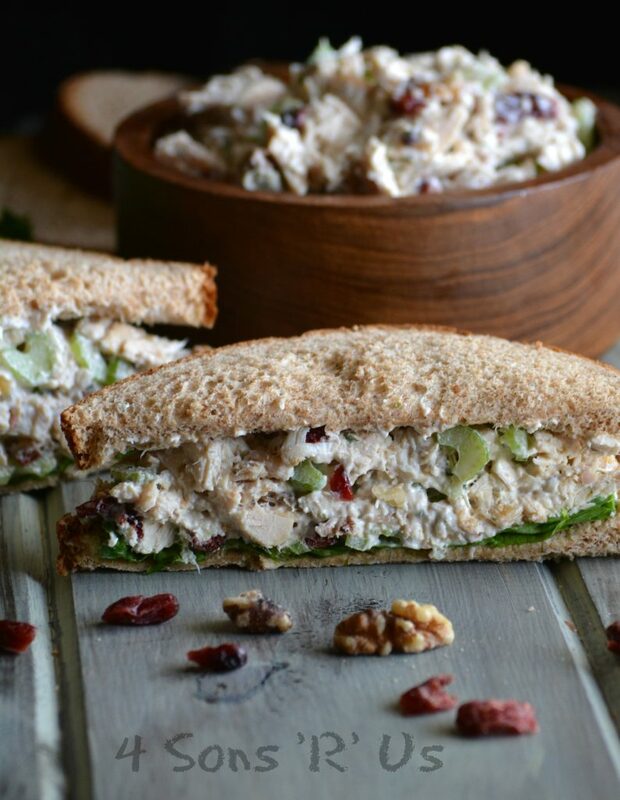 This creamy Cranberry Walnut Chicken Salad is a healthier, lightened-up version that’s perfect for Fall. 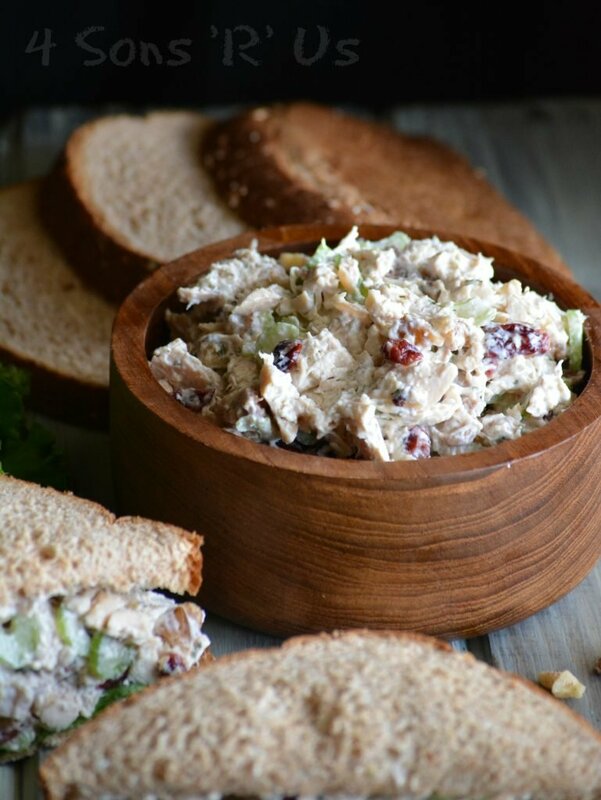 Chunks of rotisserie chicken, toasted walnuts, and sweet dried cranberries are tossed together with a creamy dressing. Topped with a little lettuce and paired with soft, multi-grain bread it’s a lunch that will leave you savoring each flavorful bite. You’ll love it so much you might even be sad when it’s all gone. Sad enough even to pack a second sandwich in your lunchbox the next day. 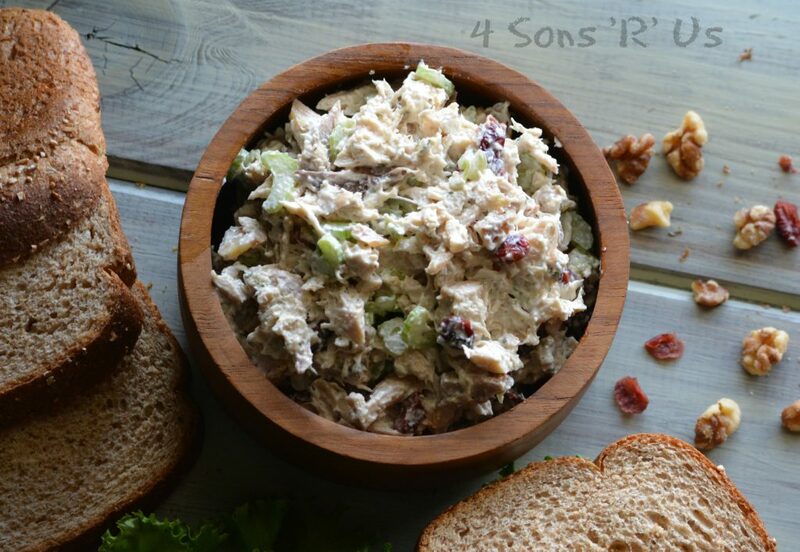 A lightened up chicken salad that embraces seasonal Fall flavors. It's quick & easy, but tastes like it came straight from your favorite gourmet sandwich shop. Heat a medium sized skillet over medium heat. Add in the chopped nuts, stirring frequently, for 3-5 minutes, or until they're fragrant and lightly toasted. Watch carefully to avoid burning. Set them aside to cool completely. In a large bowl, stir together the mayonnaise, sour cream, lemon juice, parsley, and dill until smooth and evenly combined. Fold in the remaining ingredients until everything in the salad is evenly incorporated. Salt and pepper the chicken salad, to taste. Serve as is, or refrigerate until chilled through. Serve this salad on sliced bread as a sandwich, with freshly sliced apples, or even on large lettuce leaves for low-carb wraps. 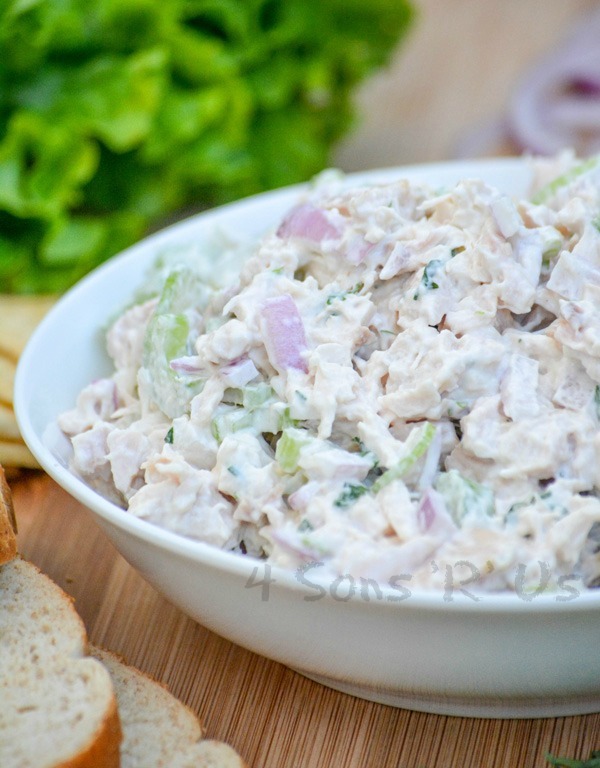 What are your favorite ways to prepare chicken salad? Your favorite mix ins? I can’t wait to hear them– share them with us in the comments! 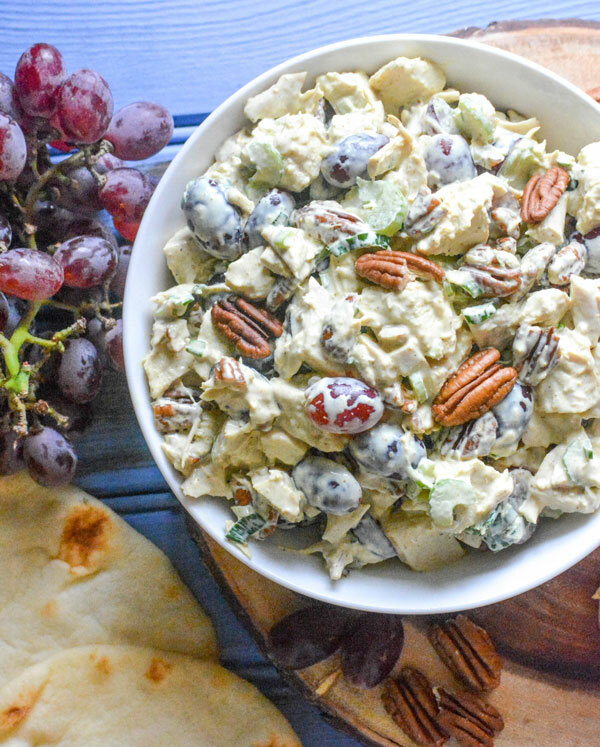 In the mean time, don’t miss these other chicken salad options. 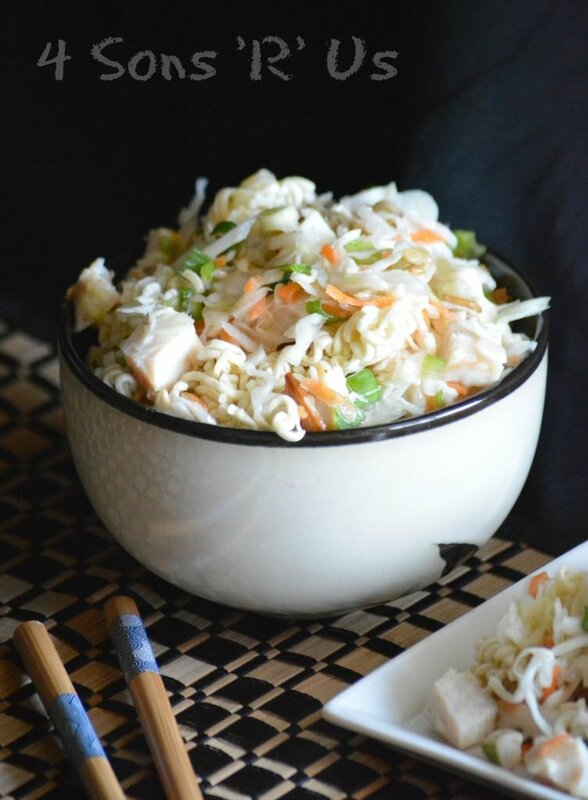 Have you ever tried this recipe substituting Turkey for Chicken? Thank you so much! You’ve got to give it a try– we’re obsessed. in college we had a similar salad but I think they used grapes instead of cranberries. This sounds amazing and looks so pretty as well. Your photo’s are just beautiful and that chicken salad is spectacular. Thank you so much for bringing to the party. AMAZING! So much better than store bought chicken salad. So glad you liked it, Rachel! It’s one of my favorites as well. Hi, Jennifer! I updated the recipe card to show that it’s 4-6 servings, depending on portion size. Wow! Now I feel like a pig (lol). I read your note late and it only made three servings for me. It was good though :). I also added eggs and used pecans instead. Wonderful! We served on butter bread rolls for sliders. I love the idea of serving it as sliders- it’d make it perfect party finger food too. I’ll have to give it a try next time adding in the eggs. Thanks for the suggestion!